Gee whiz, don’t you hate top ten lists? I do. I hate reading them, I hate making them, and yet, here I am, and here you are. Before launching into this list, allow me to explain myself. I have a couple quick points to make, disclaimers, etc. This list is not entirely objective, nor is it entirely subjective; I tried to hit a balance. This list is subject to revision, as I have not yet seen Zero Dark Thirty, Django Unchained, Amour, The Master, Seven Psychopaths, Flight, Rust and Bone, Madea’s Witness Protection, The Impossible, Chronicle, The Sessions, and probably a few others. A few great movies didn’t make the cut. Let’s start with those, shall we? Prometheus – Ridley Scott’s return to sci-fi was actually a lot better than everyone else said it was. It was impeccably well acted (mostly), and Scott himself directed the hell out of it. People misread deliberate ambiguity as lazy writing. Brave – Another underrated, but excellent film that came out this year, Pixar’s newest film is a delightful, exciting, heart-warming adventure/fantasy, a well told story peppered with engaging characters, good dialogue, an excellent soundtrack, and great animation. Lincoln – If I hade been completely objective, as I admitted I wasn’t being, Lincoln would probably land at around spot five or six on the list. Unfortunately, I am being partially subjective. I liked Lincoln, and I appreciated it on a cinematic level, but something just missed with me. Looper – Though it had some problems, I shan’t overlook the things that Rian Johnson did so well in Looper. He directed some lovely performances, and his cousin, the great DJ Whirligigs, created such a cool soundtrack. ParaNorman – Another delightful animated feature from 2012, ParaNorman is an inventive, fun, beautiful, and surprisingly poignant film… possibly the most poignant zombie film I’m seen. Sorry, 28 Days Later… you lost that one. The Plot: James Bond (Daniel Craig) decides to be dead after one of his own people (Naomi Harris) accidentally shoots him on a mission, at the command of his boss, M (Judi Dench). Being a generally honorable guy, though, Bond comes back to life after super-crazy super-villain Silva (Javier Bardem) launches a series of attacks to kill M.
Why is it so good? 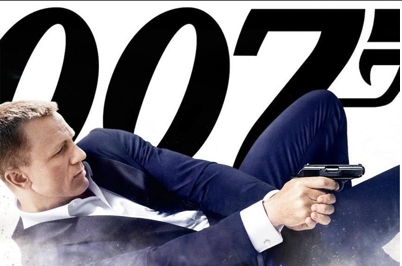 Director Sam Mendes and his screenwriters decided to take a rare and refreshing approach to Bond: substance. Yes, somewhere along the line someone thought, “Hey, maybe we should try to develop this Bond guy a little bit.” Bravo, sir or madam, you’ve really struck gold there. 2006’s Casino Royale did the same thing, but Skyfall takes that to an all-new level, exploring not only who Bond is now, but also his back-story, and what made him who he is. Take this substance and lob it on top of the best production values a Bond movie has ever seen (seriously, an Oscar nomination for cinematography of all things) and you’ve done well. 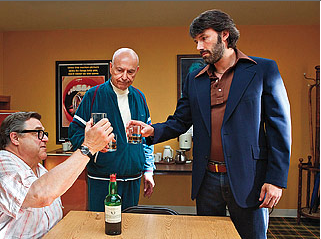 The Plot: Based on a true story, Argo explores the efforts of CIA agent Tony Mendez (Ben Affleck) to rescue a small group of American citizens from hostile Iran during the Hostage Crisis of 1980. Teaming up with movie producer Lester Siegel (Alan Arkin) and make-up master John Chambers (John Goodman), Mendez poses as a filmmaker on a location scout for a sci-fi movie in order to pull off one of the most ill-advised and unlikely rescue missions in history. Argo was a movie that I really enjoyed; it was gripping, clever, well written, well acted, well directed, etc. When I left the theater, though, I felt that it didn’t really stick. The more I thought about the movie, the less impressed I was, which is sort of the opposite of when I saw Lincoln, with which I was quite impressed. Two months later, though, and in retrospect Argo has leapt forward in my esteem and Lincoln has faded slightly. Affleck, who also directed, really did an excellent job telling this story. It’s expertly written, with concise dialogue for just the right amount of character development. The characters aren’t underwritten, but they also don’t overpower the weight of this historic situation. Affleck also took great care to recreate actual news footage and photographs of the event, placing the camera, his actors, extras, and props in exact locations to help create that sense of gritty verisimilitude and painstaking accuracy. 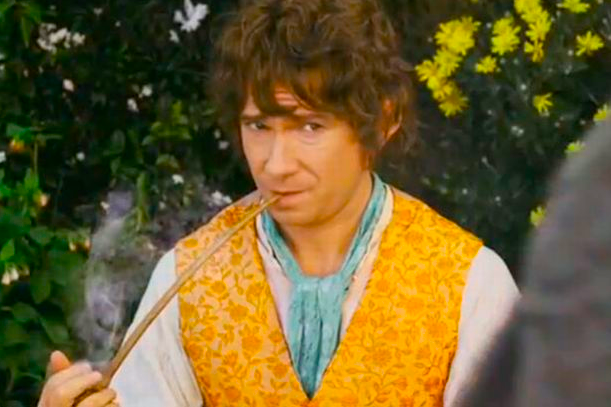 The Plot: Bilbo Baggins (Martin Freeman) lives a quiet hobbit life until Gandalf the Grey (Ian McKellen), a wizard, shows up at his door and enlists him to assist a small band of dwarves, led by the great Thorin Oakenshield (Richard Armitage), in reclaiming their homeland from the dragon Smaug. The first installment in Peter Jackson’s new Middle Earth trilogy, based on the beloved children’s book by J.R.R. Tolkien, is far from perfect. It’s about half an hour too long and Jackson gets a little indulgent with some of the action sequences, but he makes up for it by striking the perfect balance between the charm of the book and the epic tones of a major blockbuster. Many critics complained that Jackson was trying too hard to match the proportions and scale of his Lord of the Rings, but I found that he managed to get around that by developing Thorin so well. More than anything, though, I got the impression that this was merely a prelude to greater things in the sequels, to which I very much look forward. The Plot: Ex-con Jean Valjean (Hugh Jackman) decides to turn over a new leaf and lead a righteous life. This path gets increasingly difficult to follow as super serious lawman Javert (Russell Crowe) is always hot on his tail. 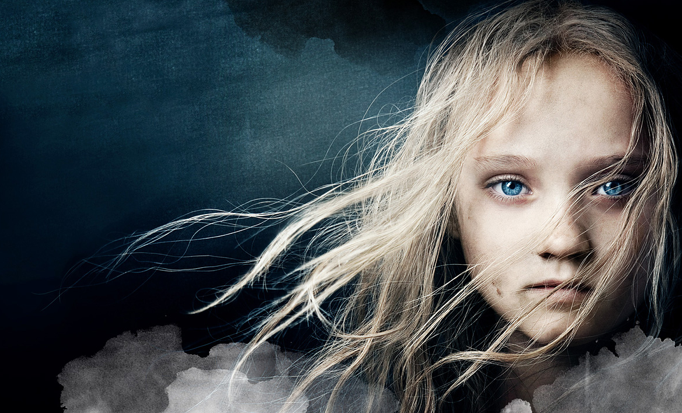 Valjean’s quest for redemption leads him to a host of sad characters, all with their own sad problems, including, but not limited to, sad prostitute Fontine (Anne Hathaway), her sad child Cossette (eventually Amanda Seyfried), the sad, lovelorn revolutionary Marius (Eddie Redmayne), and another sad, lovelorn revolutionary, Eponine (Samantha Barks). Oh yeah, this is a musical, by the way. They sing the entire goddamn time. What’s really impressive about this film, though, is that the actors perform all their songs live with the take, which is quite unusual (actually, totally unheard of) for musicals. The result is a bundle of powerful, emotional, often nuanced performances. The only downside (other than those inherent to Victor Hugo’s story) is that director Tom Hooper, who’s usually pretty competent, just didn’t know what to do with himself or how to go about filming something like this. The result is a few really confusingly staged songs and a whole lot of unnecessary close-ups. I understand that this small failure kind of ruined things for Rooster Illusion, but it didn’t detract too much for me. The Plot: Pat (Bradley Cooper) tries to get his life back on track after being institutionalized for rage when he found his wife (Brea Bee) cheating on him. While living with his parents (Robert De Niro and Jacki Weaver), Pat’s main focus is on getting his wife back. In an effort to make himself appear like a more attractive person, he decides to strike up a friendship with the recently widowed Tiffany (Jennifer Lawrence), but since both of them have clear mental issues, the friendship might be more trouble than it’s worth. David O. Russell’s film a perfect example of how to do the romcom genre correctly. There are no stupid gags, no irritating characters; there’s witty dialogue, likeable personalities, and strong performances (Cooper, Lawrence, De Niro, and Weaver have all been nominated for Oscars). It carefully avoids all of the tropes and pitfalls that make the romcom so generally unlikeable to film critics, resulting in a charming, but moving film. Furthermore, Bradley Cooper and Jennifer Lawrence just have wonderful onscreen chemistry. The ups and downs of their characters’ relationship are all very believable and realistic. Like every good relationship, theirs is both mutually beneficial and mutually inhibiting. I actually talked about this film quite a lot in my review of Roman Holiday, making comparisons between the two films as textbook examples of how to not make a bad romcom. The Plot: Six-year-old Hushpuppy (Quvenzhané Wallis) lives alone with her father, Wink (Dwight Henry), on a small island called the Bathtub, on the wrong side of the levy outside of New Orleans. One night, the Bathtub gets flooded and hordes of giant boar-like creatures called aurochs wreak havoc across Hushpuppy’s world. Faced also with her father’s dwindling health, Hushpuppy must learn some valuable lessons about family, bravery, and love in order to prepare for a life alone in harrowing circumstances. The directorial debut of Benh Zeitlin is visually stunning and peppered with strong, raw performances from an unprofessional cast mostly composed of natives of New Orleans, many of whom survived Hurricane Katrina. In fact, the film is a pretty obvious statement about that event and about the treatment of poor people during times of crisis in general, but it’s cleverly masked through the lens of a small child, and its message is remarkably insightful. 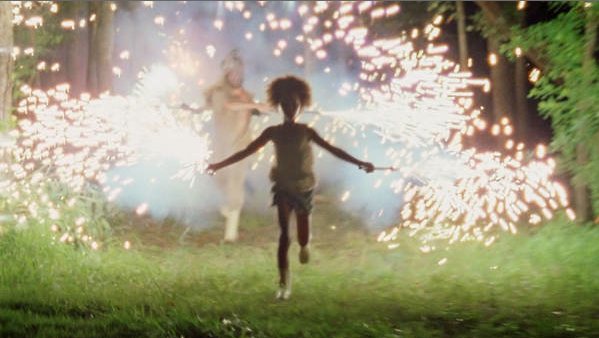 The reason that the film really works, though, and isn’t too preachy, is because the focus is entirely on Hushpuppy and her own personal trials. She’s not analogous to a wider demographic; she’s just Hushpuppy. 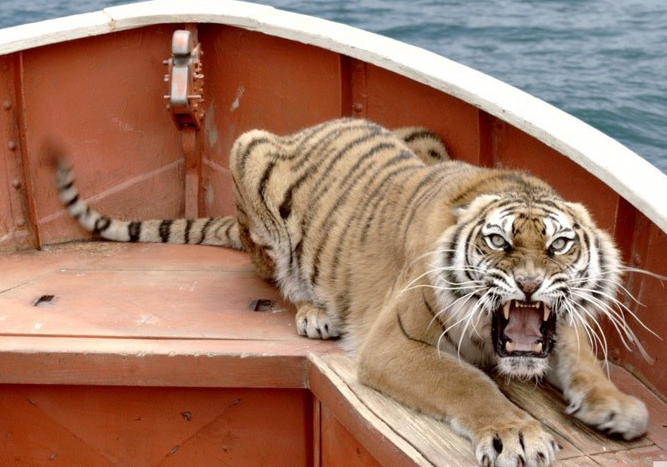 The Plot: Pi Patel (Irrfan Khan) recounts the tale of how at a young age he (now Suraj Sharma) was stranded in the middle of the ocean on a small lifeboat… with a fully-grown Bengal tiger. His is both an incredible survival story and a spiritual journey, but not in a corny way. Life of Pi is a tough book to adapt for film, since it lacks many of the qualities conductive to easy filmmaking, such as very much dialogue or more than one principle character. What Ang Lee achieves with this film is almost as impressive as Pi’s tribulations… wait, actually no. That’s not really fair to say. This isn’t a Burden of Dreams kinda deal, but it’s still neat. Lee clearly read the book, but who didn’t? The important thing is that he clearly understood the book. Under extraordinary duress, Pi learns a valuable lesson about facing reality and the extent to which it’s healthy to lie in order to survive. Lee actually manipulates the filmic medium, particularly in his use of mind-blowing CGI, to do the exact same thing: augment reality, because, as Batman once said in that awesome montage from the end of The Dark Knight, “Sometimes the truth isn’t good enough. Sometimes people deserve to have their faith rewarded.” I can shoehorn Batman into anything. The Plot: A group of oil drill workers are stranded in the Alaskan wilderness when their plane crashes. 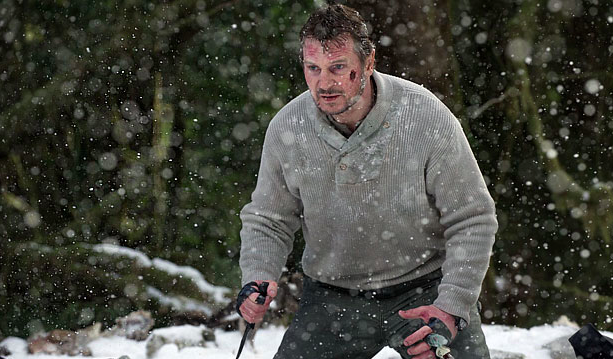 The depressed and slightly suicidal Ottway (Liam Neeson) finds new purpose as the self-appointed leader of the group on their quest for civilization. It’s not long before wolves show up and the survivors stop surviving. Yeah, we’re pretty far out of Oscar territory here. It might surprise some of my fifteen or so readers that The Grey should land at number three. Surely this goes back to that line about objectivity and subjectivity, right? Surely, by “The Grey” I actually meant “Lincoln.” Right? No. The Grey would have landed here even if I were being 100% objective. The subjectivity thing is referring more to The Hobbit. Joe Carnahan (who had previously directed such pointless gems as The A-Team and Smokin’ Aces) demonstrates here that he does actually know what he’s doing. The staging and filming (e.g. directing) of this film is matched only by the performances that Neeson and his supporting cast produce. Damn, though, did people ever miss the point of this movie. Roger Ebert did a good review back in February when it came out, but by and large people just didn’t get it. This is not an action movie. It is not a thriller. After a point, it’s not even a movie about surviving, but one about death and what it means to die well. Liam Neeson delivers what is, in my opinion, the best performance of his career, and one that feels very personal. The Plot: Sam (Jared Gilman) and Suzy (Kara Hayward) are in love. They’re also twelve-years-old, and neither have particularly positive family lives, so they decide to run away. Well, they live on a small coastal island, which narrows the search, but the drama is heightened as the storm of the century approaches. Suzy’s parents (Bill Murray and Frances McDormand) join the local police captain (Bruce Willis) and Sam’s scout master (Edward Norton) to track down the two star-crossed lovers. Wes Anderson is one of the few directors whose films I’ve seen all of. I haven’t particularly liked all of them, but a few are irreplaceable. 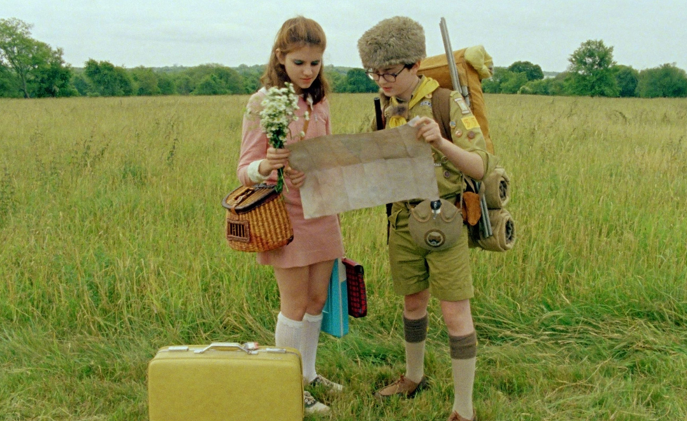 Moonrise Kingdom threatens to dethrone The Royal Tenenbaums as Anderson’s crowning achievement. He’s always been really good at writing and bringing to life human relationships, but that which he creates between Sam and Suzy is the sharpest and most accurate depiction of that shy, but completely genuine brand of prepubescent love on film. The writing in this film is so expert, and brought to life so well by a talented ensemble cast, that someone probably should have released this movie in November, instead of over the summer, so that it might get more awards recognition. Fortunately, I don’t think Wes Anderson or literally anyone who worked on Moonrise Kingdom particularly cares about the Oscars. I mean, he is Hipster King. The Plot: Eight years after the conclusion of The Dark Knight, a fearsome terrorist, Bane (Tom Hardy), takes to the streets of Gotham, bringing the city to its knees, and forcing the now-hated Batman (Christian Bale) out of retirement to once again protect the city that has branded him an enemy. Yep, it’s number one, and y’all can deal with it. If I were more popular, I’d probably receive a fair amount of backlash for this one, but fortunately, not that many people read this blog. So yes, why is The Dark Knight Rises, in my opinion, numero uno? Christopher Nolan’s epic conclusion to his Dark Knight Trilogy is the perfect equilibrium of character development and action. Here, Nolan balances his obligations to his own vision, his audience, and the greater Batman mythos. I actually prefer this film to the previous two in the trilogy, because this pays the most attention to character. In Batman Begins, Bruce Wayne is the main character. In The Dark Knight, Batman is the main character. Batman is also a very distant and alienating character. 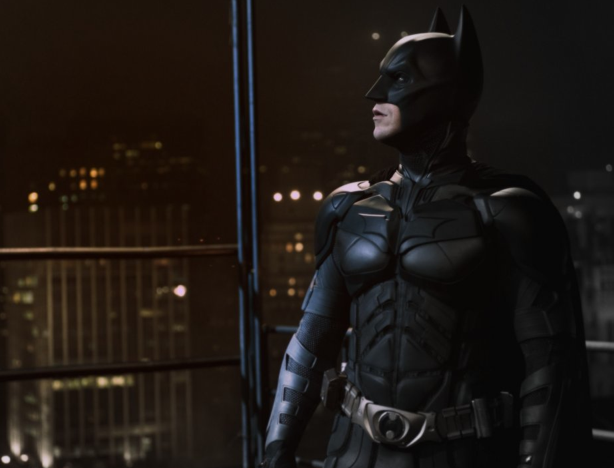 In The Dark Knight Rises, Bruce Wayne is the main character again. He has a solid arc, he makes mistakes, and he learns from them. More so also than the Joker, Bruce now faces a villain with “depth” and “motivation,” and who actually poses a serious physical threat as well as a mental and moral one. It’s important to see a hero in defeat, so that he has something to overcome. One must fall before he can rise. You marry that with ambitious direction, cinematography, original music, and supporting performances, and you get not only the greatest super hero film of all time, but also (again, in my opinion) the best film of 2012. Aight. Feel free to comment and deride my opinions. That’s what they’re there for. January 27, 2013 in Movie Review. Definitely happy to see Silver Linings and Moonrise Kingdom. It’s a shame how many movies there were that should’ve been absolutely incredible but ended up just being really really good (re: Brave, Prometheus, Looper, in my opinion).